The world of work is changing. Here's how to deal with it well. This is a guest post by Donna Sweidan. If you’d also like to guest post here on JobMob, follow these guest post guidelines. Job seekers- you just got a promotion, the “career” as we know it is dead. Introducing the new “Job Board”: Welcome Solvate.com, icrunchdata.com, sologig.com, Flexibleresources.com, as they join old timers Elance and other freelance marketplaces. A new phenomenon are micro freelance marketplaces like Fiverr: The place for people to share things they're willing to do for $5. Donna Sweidan is the Chief Career Inspiration Officer and founder of Careerfolk, LLC. She guides and inspires professionals (from aspiring to successful executives) specializing in helping people get “unstuck” helping people go from soul search to Social search, two essential parts of career management today. Follow Donna @careerfolk. Like us on www.facebook.com/careerfolk or www.linkedin.com/donnasweidan. If you want Donna Sweidan to win, share this article with your friends. If you liked this article, you'll also enjoy 25 Things to Watch in 2011 For Job Search. 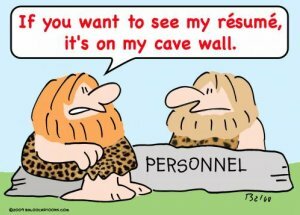 Subscribe to JobMob via RSS or email and follow me on Twitter for what you need to know about the current world of work. Great article, well said and written. While one always needed to be creating one’s next job, now you need to have many “balls in the air” in continuous creation and performance. Donna – great tips! The job world is constantly changing, so hopefully we’ll see more and more people adapt to these changes! Another good read published in 1984 that foretold of this career landscape is The Way of the Ronin by Beverly Potter, PhD. Thank you everyone for your comments and positive and feedback. I am particularly passionate about this topic because I do feel that if people don’t embrace it, they are not going to get back to work very quickly. It’s very troubling to see people stuck in that “the only thing that will help is a full-time job”mentality. I appreciate you sharing it with more people. Lynn, @hourly, those Mckinsey stats are especially telling. Thank you for the excellent article, Donna! I strongly agree, even if I don’t approve (lol). One must adapt or die as the Natural Law suggests. You hit all seven nails on their respective heads. Few minor things: The main problem with freelance (from one who’s been doing it “full-time” for a decade) is that the competition is global for anything that can be done off-site. So those of us in North America and the UK are competing against those where three bucks an hour is a sufficient, livable wage. Too many clients think cheap is good and are willing to sacrifice quality for quantity. It’s up to us to educate them and show that experience, ability and native English (for writers) is paramount to their success. “Seven Life-Changing Job Trends You Need To Know” says it all. And so did you. Thanks again! While what you say may be true, it is particularly troubling to me. What I read into it is a lot of businesses not wanting to pay unemployment taxes and payroll taxes by hiring their “employees” as contractors and you are helping them by saying it is OK. This is the new way of doing business. It is time that businesses starts thinking about the world around them again and not just their bottom line or we are all going to be in a lot of trouble down the road when the next resession hits and all of your “consultants” who have not paid into the unemployment system are unemployed again. Thank you Donna. It’s a very timely article with important trends to be aware of even if we don’t like some of them! Everything you write about is 100% accurate. I see the job market changing so much faster today than it did ten years ago. Job Seekers now need to be speed demons and so vigilant about staying on top of things. Your article is the way of the future….everyone should follow your advice! Great job! This is a superb sumation of the work world as we know it today. For those who grew up with different expectations of the work experience, it is difficult for them to wrap their arms around this new reality; leaving them to grieve for the old “state.” Additional works by William Bridges on life transitions offer more insight. Well done! This is spot on! Thanks for not only sharing the analysis of the trends but for giving practical, usable links as well. I look forward to reading some of these books and I’m going to send this to several people. One attribute to underscore within most of the points you make is that what’s also out is to define yourself by your job (field or title.) You are not any of the jobs you do. For some that can be a hard lesson but it’s one worth taking to heart. Bravo Donna! You hit many nails on the head and articulated them beautifully. Every one of your points can be helpful to the job seeker, career changer and counselor that is helping them. Thanks for sharing your thoughts. Hi Donna, thanks for this article, how ever scary to traditionalists like me, one can’t fight change. To Mike P, sorry, you’re half right, solders can get laid off. It’s called a RIF, reduction in force. Really well-done and spot-on. I remember saying the American economy would switch to a freelance model back in 2009. I was laid off in the middle of that year and have been successful at freelancing for multiple clients since then. You do have to flexible and adaptable, do more than one thing and promote yourself. Useful, direct and practical advice. Worth sharing with others. These are all life-changing, it’s true. Change is both rewarding and stressful, good and bad. Excellent and helpful advice, DONNA.